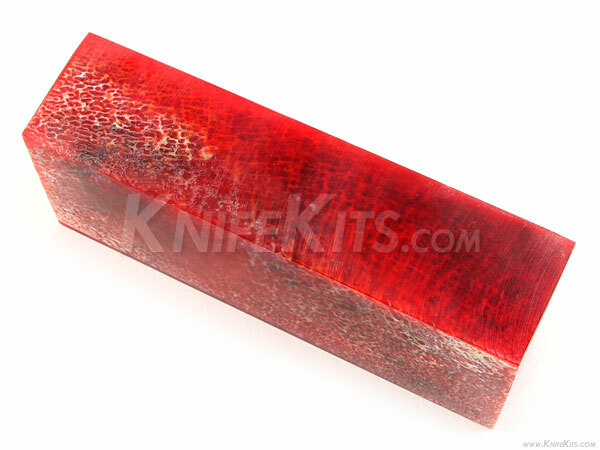 Super Naturals are the latest in modern knife and gun handle material. These unique, highly exotic blocks are one-of-a-kind mosaic compositions of wild animal bone, horn, tusk, shell, coral and other natural materials. Set in super-strong resin base, they can be shaped, sanded and finished to form full handles, inlays and other uses. They are incredibly strong, yet workable to a fine mirror finish, if desired. 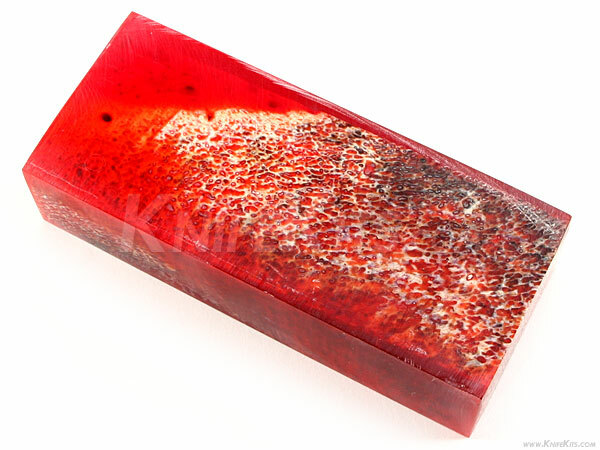 This block is composed from Giraffe leg bone marrow set in dyed resin. You can easily produce multiple scale sets from this block form.